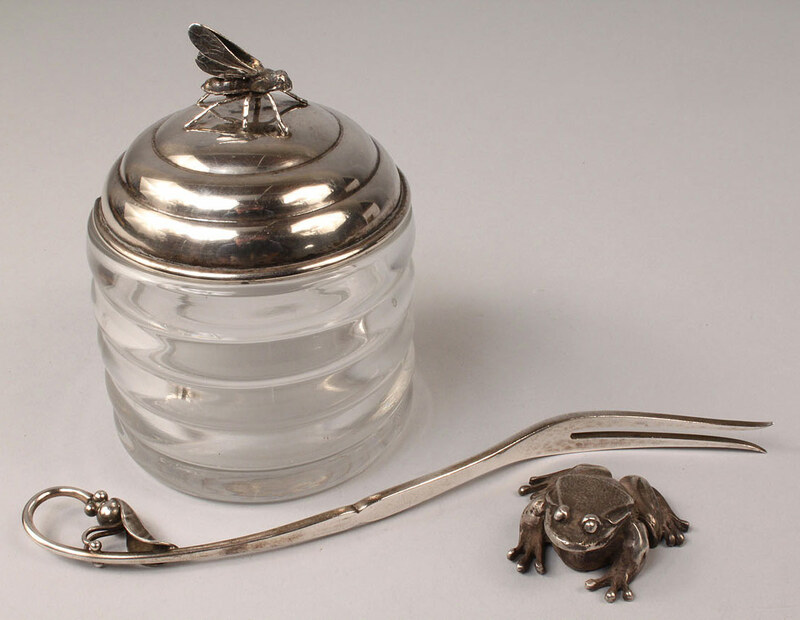 Lot of 3 Sterling items. 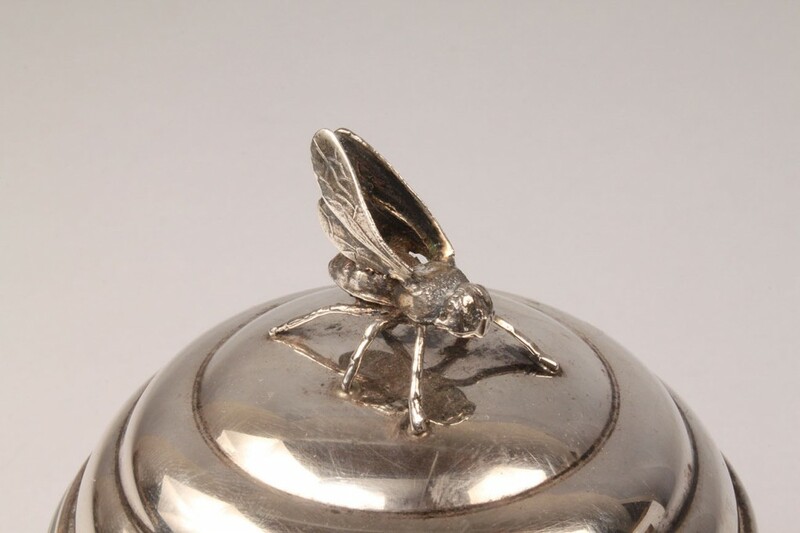 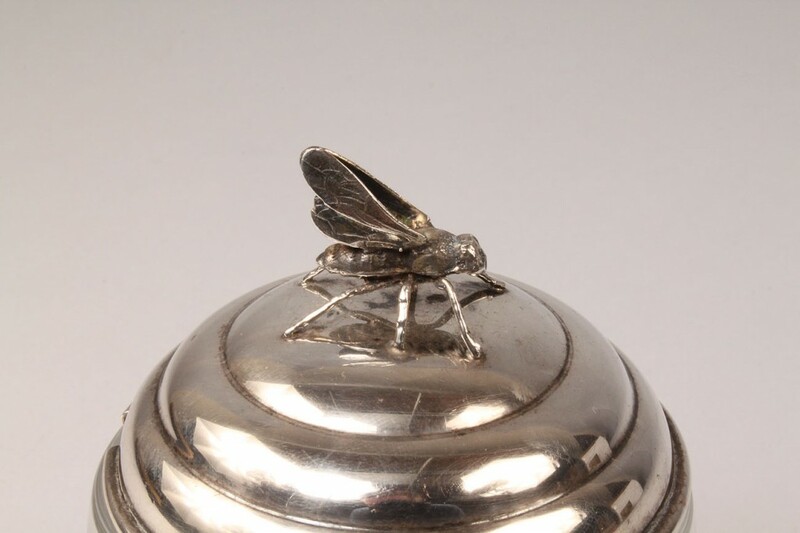 1st item -Glass honey jar in the shape of a hive, with silver bee figurine atop lid. 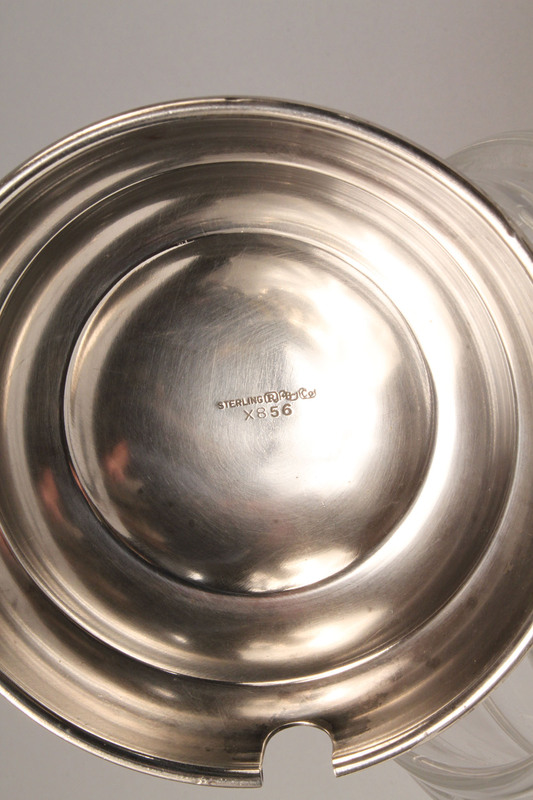 Lid marked "STERLING R B Co-X856" for R.Blackinton & CO-North, Massachusetts, founded in 1862. 5 1/4" H X 3 1/4" Diameter, 20th century. 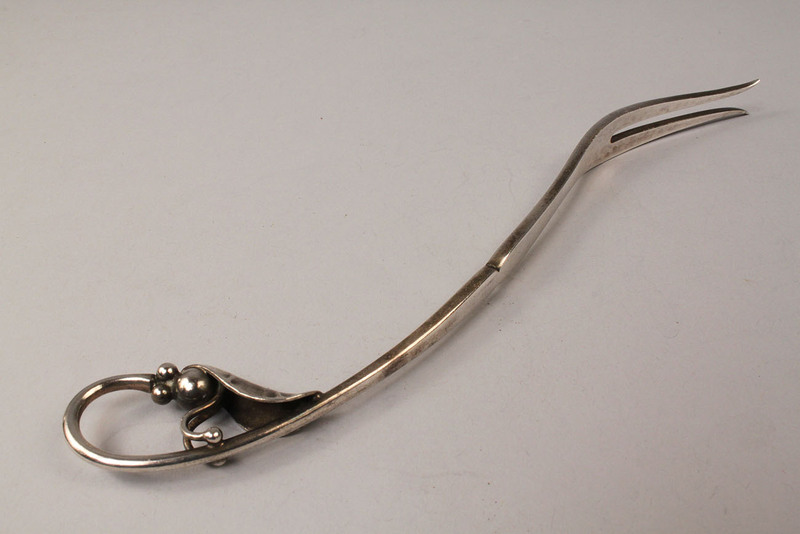 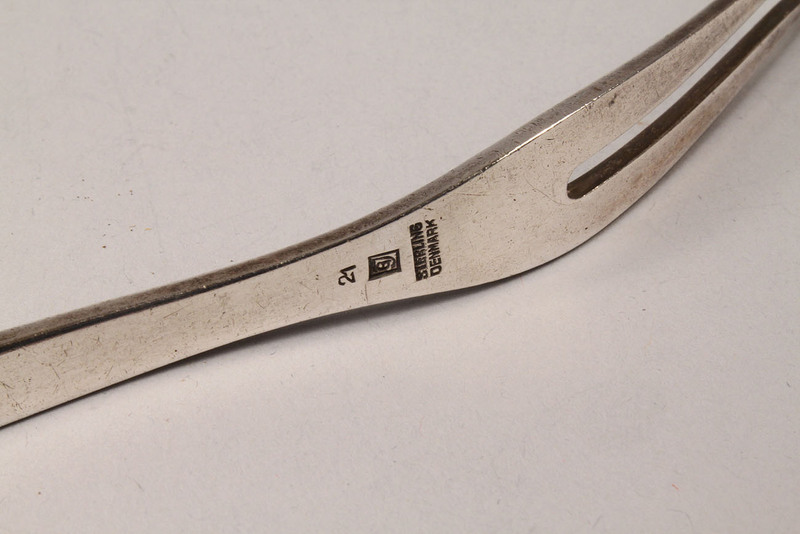 2nd item: Danish sterling pickle fork, no. 21 pattern, excellent condition, 7 1/2" L, circa 1940. 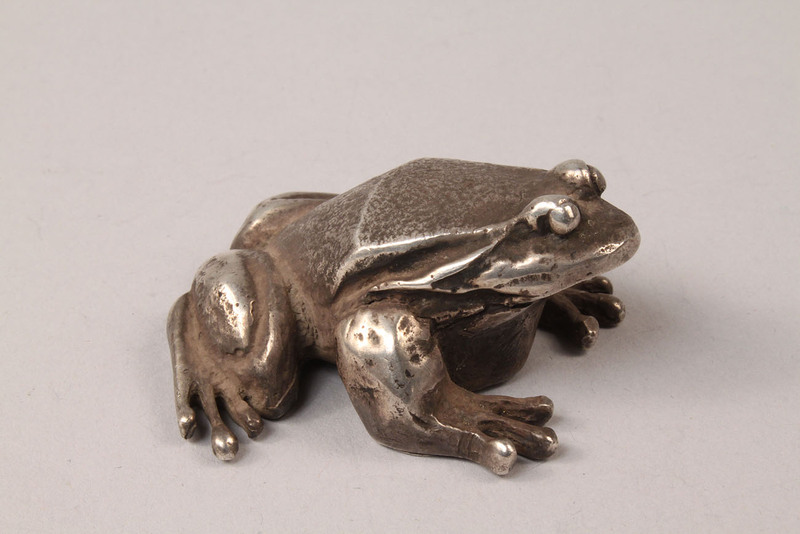 3rd item: S. Kirk & Son sterling frog, marked "1" on base, excellent condition, 1 3/4" L x 7/8" H x 1 3/4" W, 20th century. 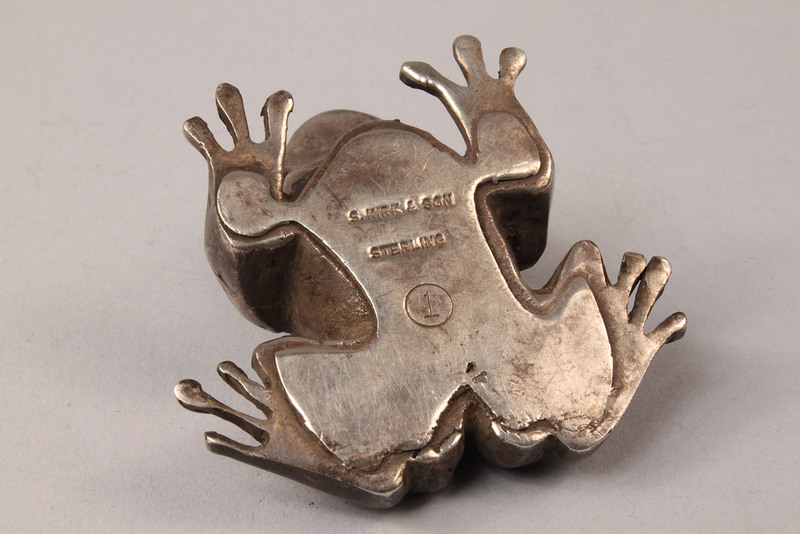 6.035 total troy ounces.